Nick, an Associate out of the Kitchener office joined MHBC in 2004, and provides urban and rural planning advise and analysis for all aspects of the firm’s activities. Nick has significant work experience related to aggregate site planning and licencing processes, the approval and registration of plans of subdivision, the re-development of brownfield and greyfield sites, and providing planning services for a rural municipality. As a member of MHBC’s Cultural Heritage Division, Nick has gained experience and expertise in cultural heritage planning projects, such as heritage conservation districts, heritage impact assessments, cultural heritage landscape assessments, master plan projects, and the preparation of commemorative integrity statements. Nick’s work on heritage conservation districts has involved a variety of resource types, including mixed use areas, commercial properties, residential properties, waterfront areas, and an operating oil field. Nick received his Bachelor of Environmental Studies (Honours Planning – Co-operative Program) degree from the University of Waterloo in 2004. 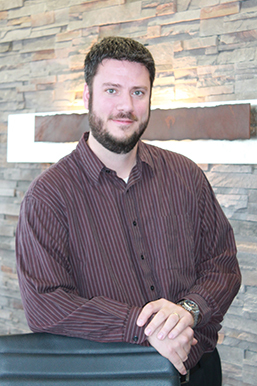 Nick is a full member of the Canadian Institute of Planners and Ontario Professional Planners Institute. He is also a Member of the Canadian Association of Heritage Professionals. In addition, Nick is the current chairperson of the Heritage Wilmot Advisory Committee.